For serious shooters, USA Ammunition is the ideal choice for training, competition or a long session at the range. The easily identifiable white box means high quality and reliability at a low price. 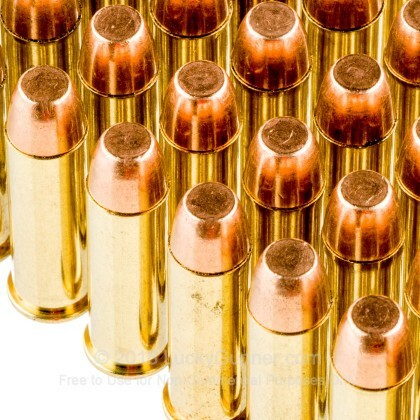 This ammunition is new production, non-corrosive, in boxer primed, reloadable brass case. 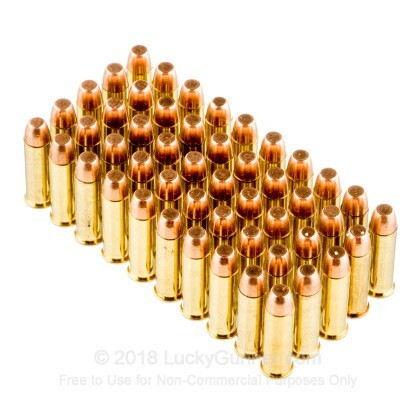 Great shooting ammo. No FTF's. Easy ejection. My wife shoots half dollar sized groups at 10 yards with this ammo in her revolver. She will not use any other ammo. Great target ammo & great cost! No DNF's. No issues & was not dirty ammo. A solid and satisfying round to shoot, not particularly dirty that I've noticed. The brass ejects easily from my Chiappa Rhino. I will say that the packaging isn't the best. Inside the box are just two blocks of styrofoam. A little awkward to shove the casings back into there if you collect your own brass. Not the first order with these guys. And won't be the lasts. Lucky gunner is always a pleasure to deal with. Great assortment of ammo. FAST shipping is always the byword. The .38 Special ammo received was for my wife. She has fired the ammo in her revolver with excellent results. she is 100% pleased. Keep up the good work, it is appreciated. Have recommended Lucky Gunner to my shooter friends. 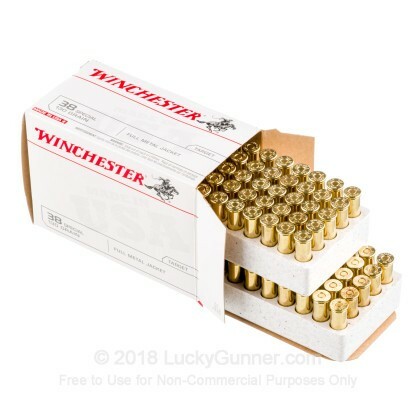 Lucky Gunner is a superb company offering great customer service, and this is superior ammo in every regard! 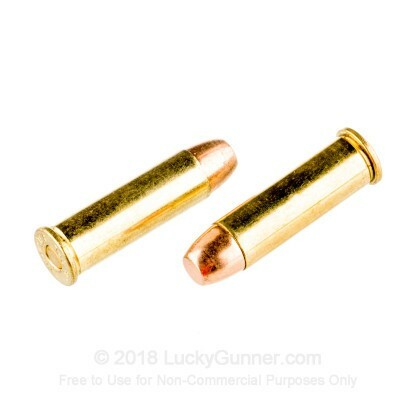 Q: Can these be shot in a smith and Wesson 32 special? A: Hello Tyler, Unfortunately, these 130gr. 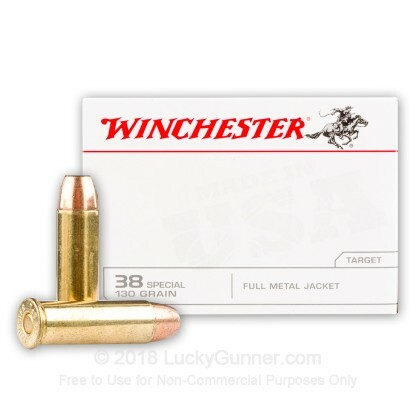 FMJ rounds by Wincheater in .38 Special cannot be fired in a .32 Special firearm. You will need .32 ammo for your gun. 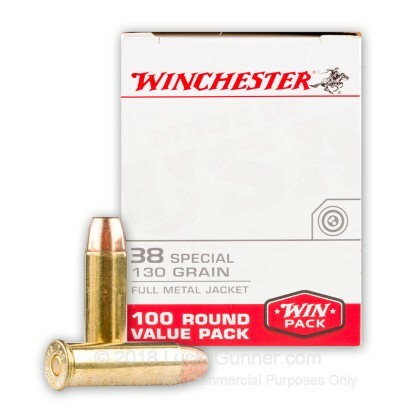 We also have this 38 Special - 130 Grain FMJ - Winchester Target - 500 Rounds ammo in stock in a bigger quantity.